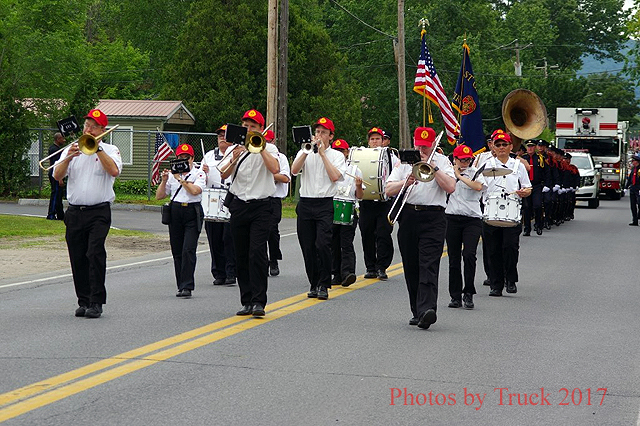 06/17/2017 Hudson Valley Volunteer Fireman's Assoc. 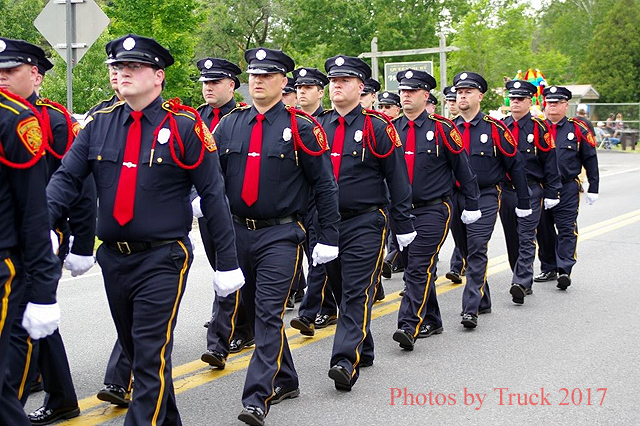 Parade. 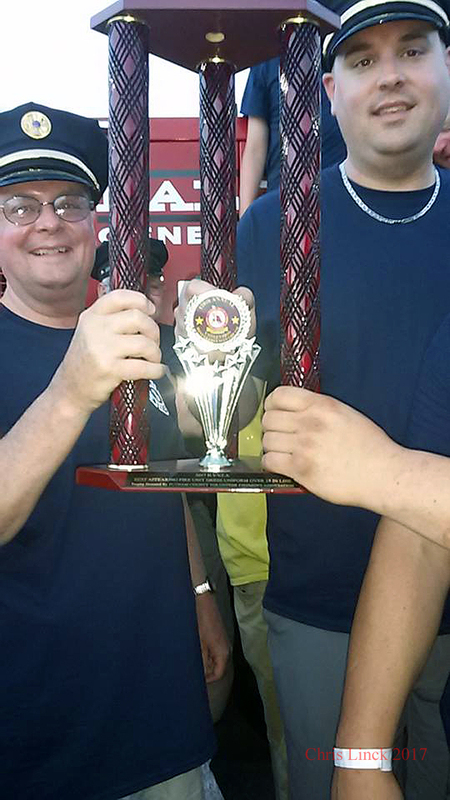 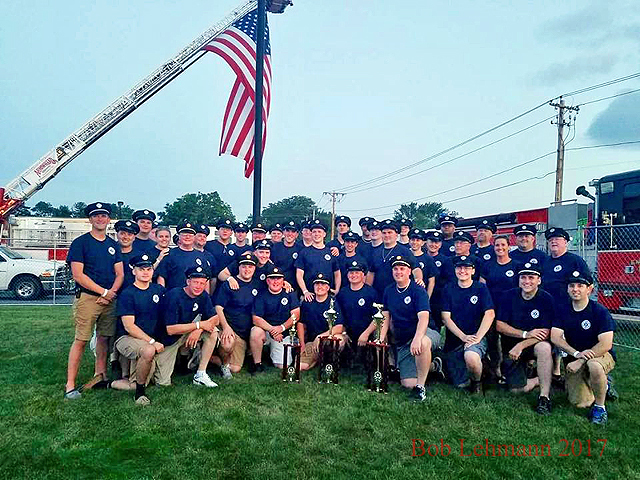 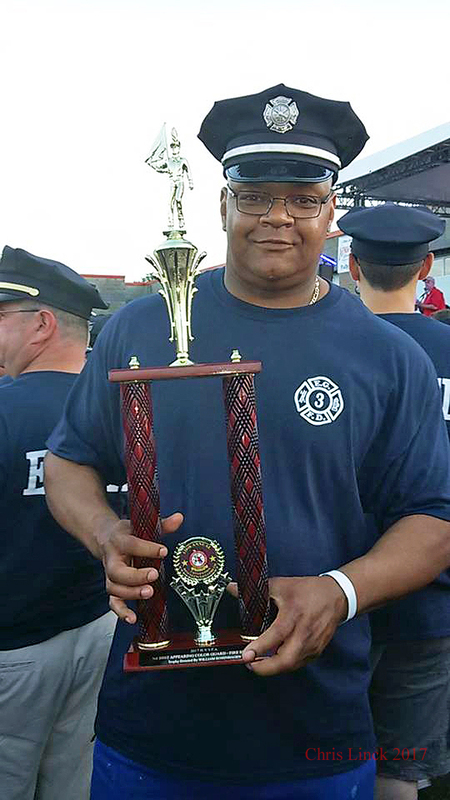 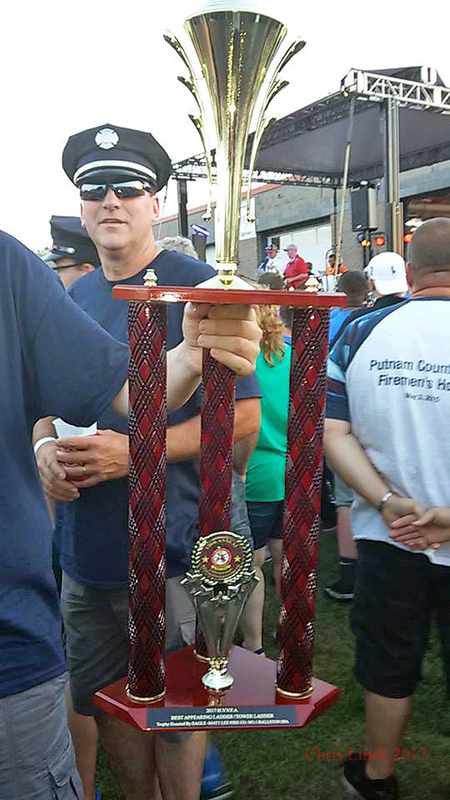 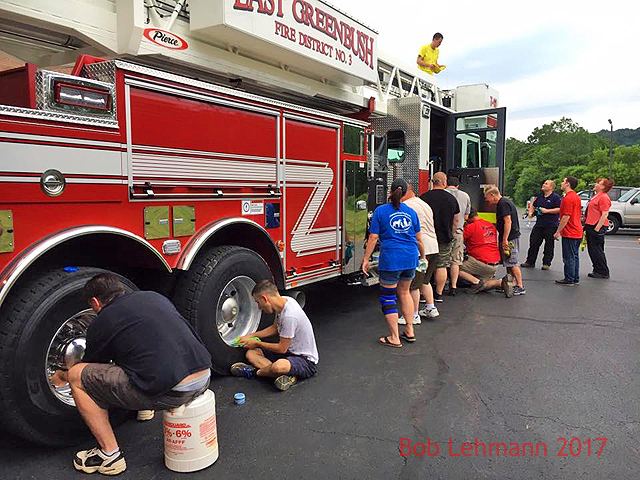 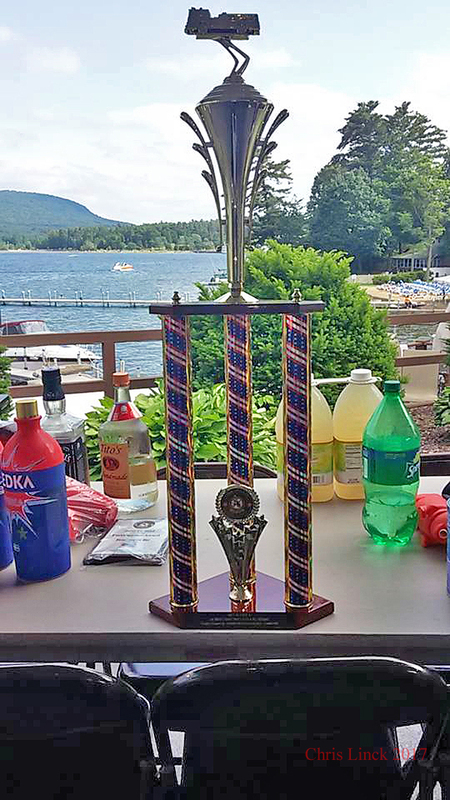 East Greenbush Fire Company Wins Four Trophies. 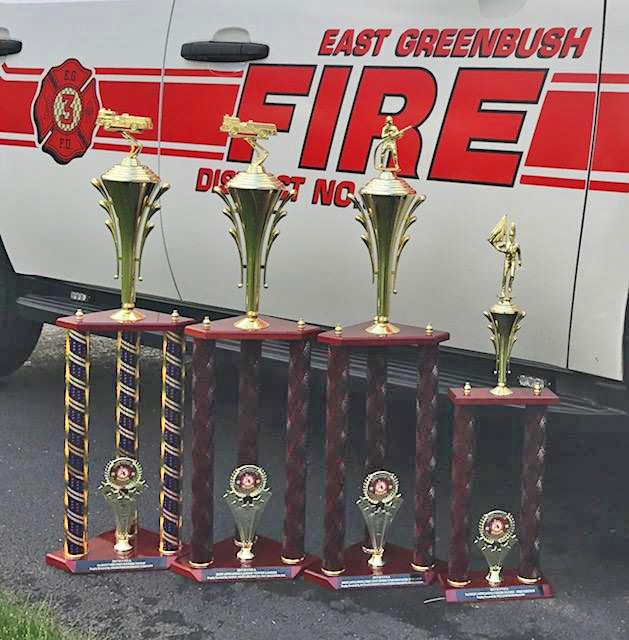 The dedicated members of the East Greenbush Fire Company were awarded four trophies this past weekend at the 128th Annual Convention of the Hudson Valley Volunteer Fireman's Association, which was hosted by the West Glens Falls Fire Department. 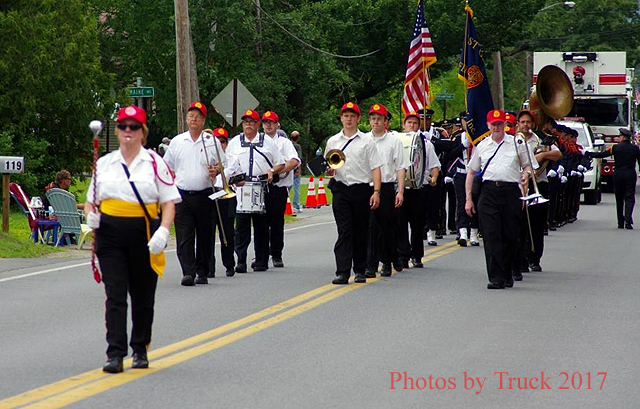 The Hudson Valley Association consists of numerous departments as far north as Essex County and as far south as Rockland and Westchester Counties. 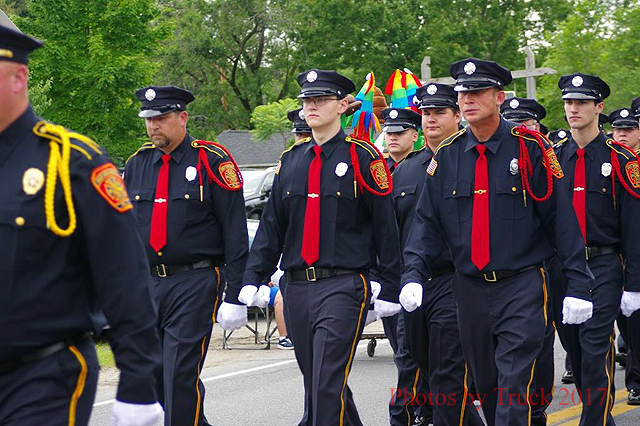 Click here to see the Mardi Gras parade. 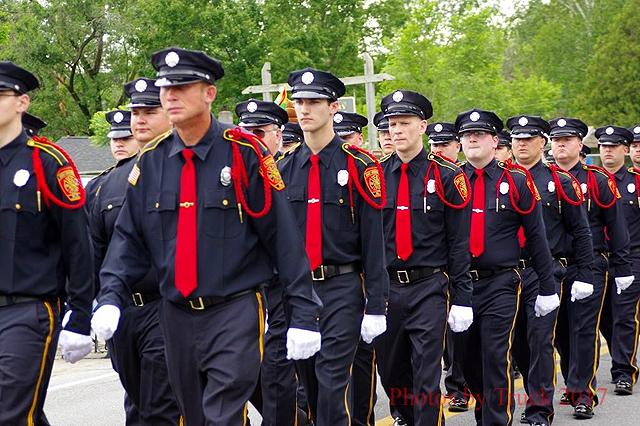 A significant amount of planning and coordination is conducted for this weekend. 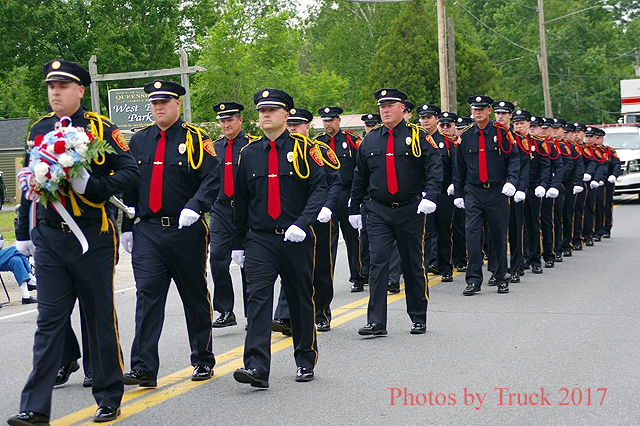 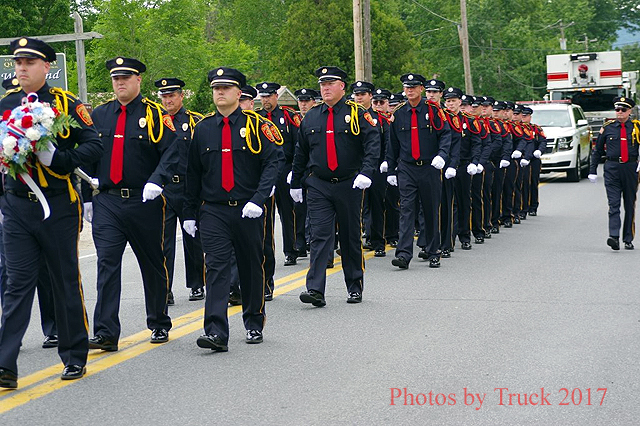 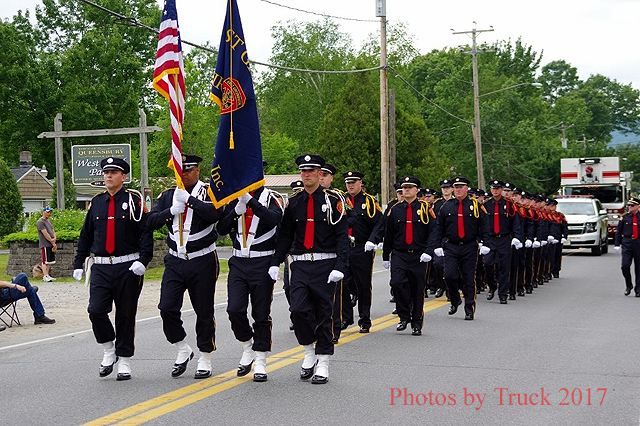 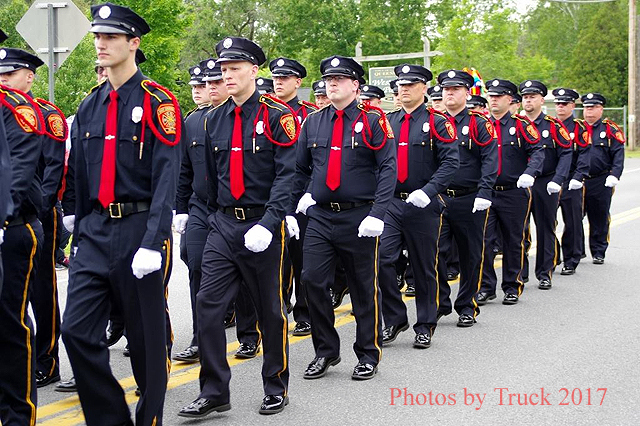 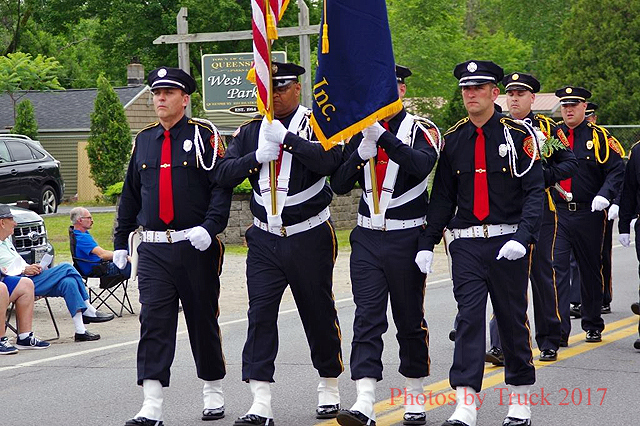 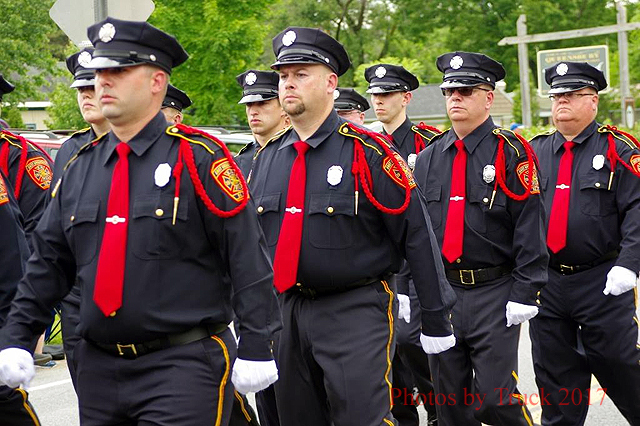 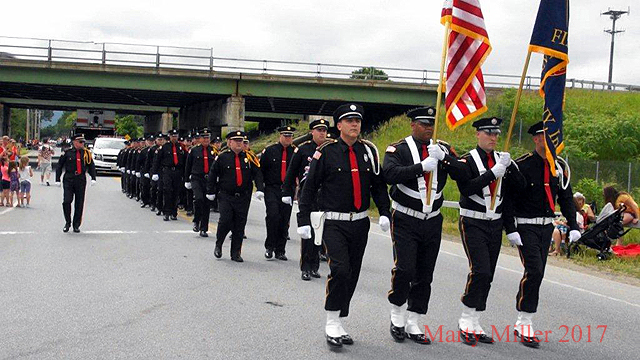 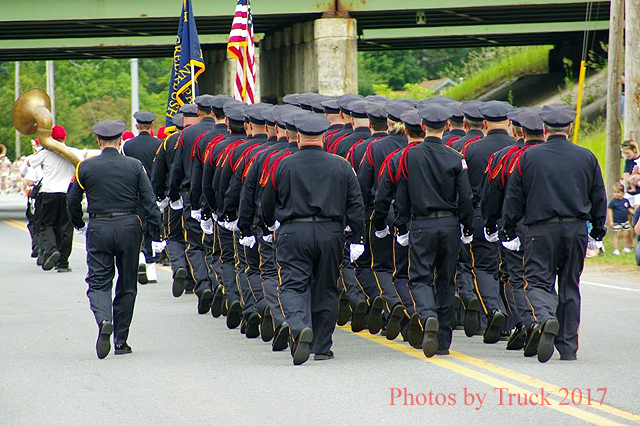 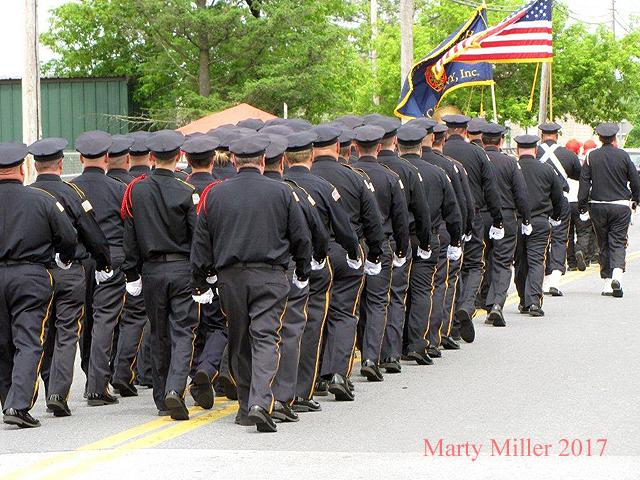 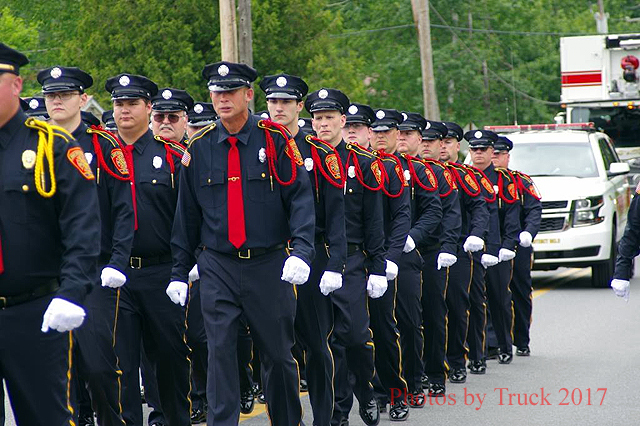 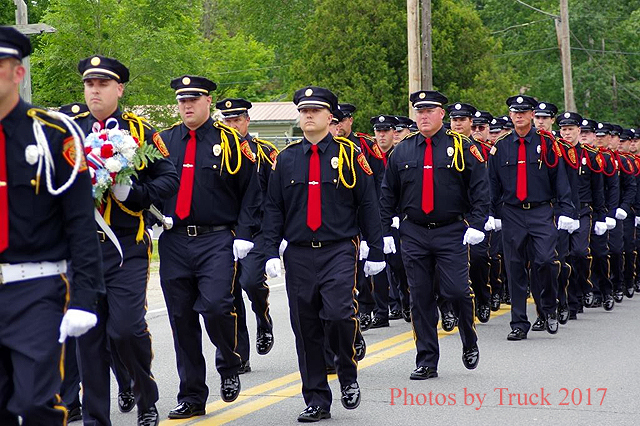 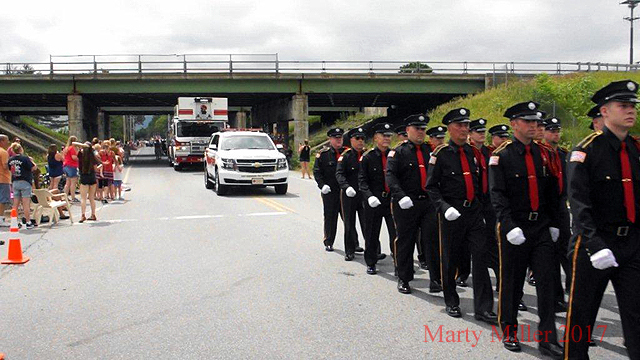 The same men and women marching at this parade are the same members that attend weekly drills, intense hands-on training, monthly meetings, participate in our numerous fundraisers throughout the calendar year, and most importantly answer all the calls for service in East Greenbush Fire District#3 and Schodack Center. 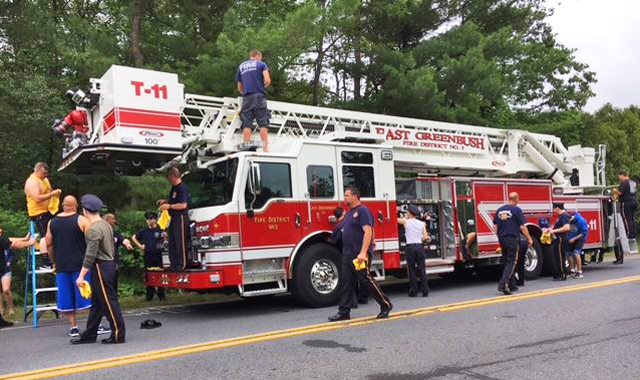 Countless hours were spent weeks before the parade preparing Truck 11 for this special occasion and preparing the entire department for this competitive weekend. 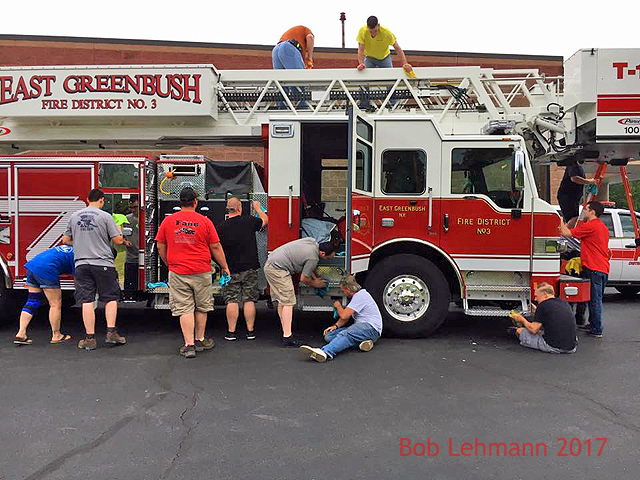 The members of the East Greenbush Fire Co. would like to thank the Clinton Heights Fire Department for covering calls in our district while our members were out of town for the long weekend. 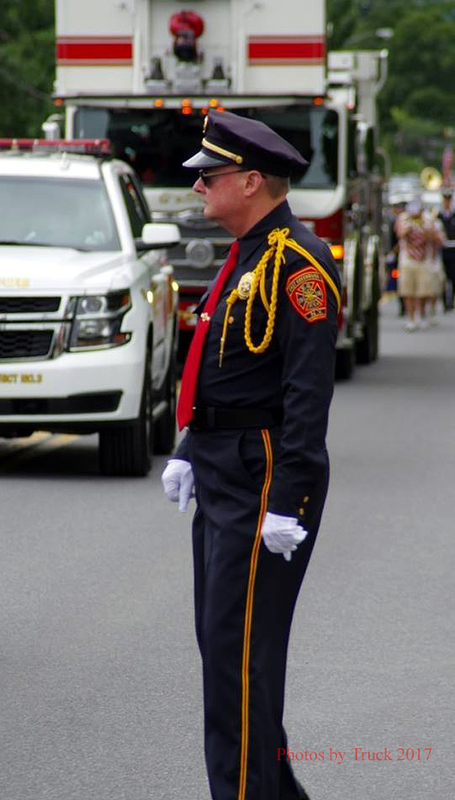 A special thanks to Assistant Chief/Convention Chairman Greg Forgea and his committee for conducting another successful weekend for our members and their families. 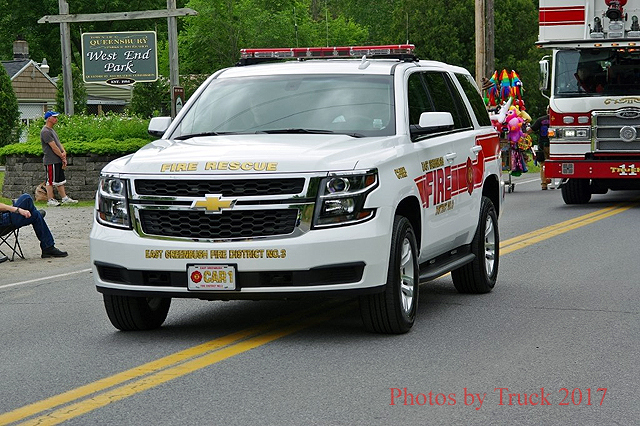 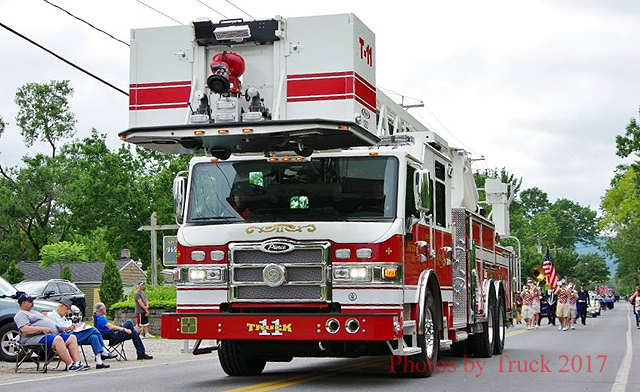 Our hats go off to Chief Jeff Dailey, his convention committee and the West Glens Falls Volunteer Fire Company for another successful convention.